This role requires a mix of knowledge of the Spanish industrial landscape (both corporate and SME), excellent business development, communication and presentation skills, fluency in Spanish, Catalan and English as well as technical project coordination skills. 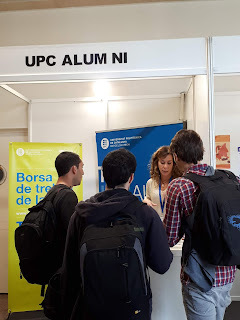 The main objectives of this position are to: 1- develop the industrial relations of Barcelona Supercomputing Center in order to allow Spanish industry to benefit from the knowledge and resources of BSC through its industrial programme and 2- To facilitate the exploitation of BSC’s research results, by transferring knowledge and technology developed at BSC to industry worldwide. The BSC Industrial Relations Expert will participate in the definition of an Industrial Relations Programme of BSC and will lead the roll-out of this initiative with a focus on market development, i.e. working with potential Programme customers (companies). This programme will build on the existing industrial activities of BSC and a number of European projects (e.g. SHAPE, www.prace-ri.eu/shape) in which the organisation participates.